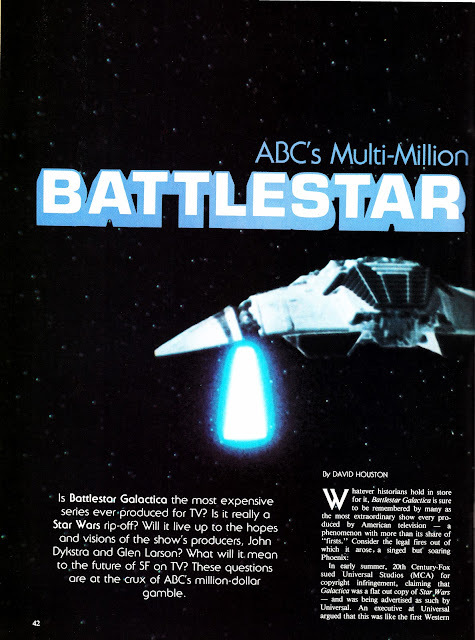 It's back to 1978 and the BATTLESTAR GALACTICA hype machine is running on turbo boost: hyping the imminent arrival of the show on ABC. 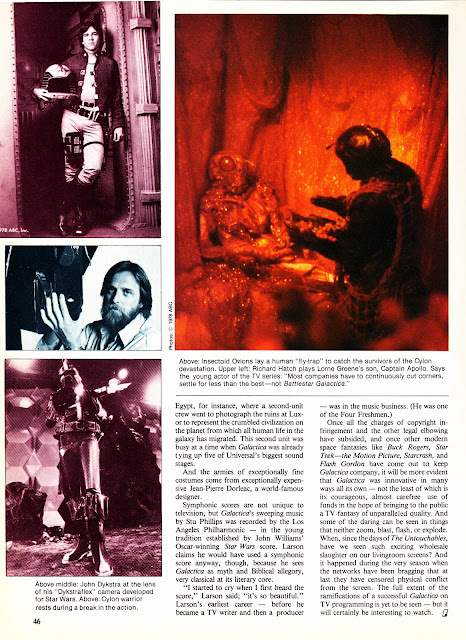 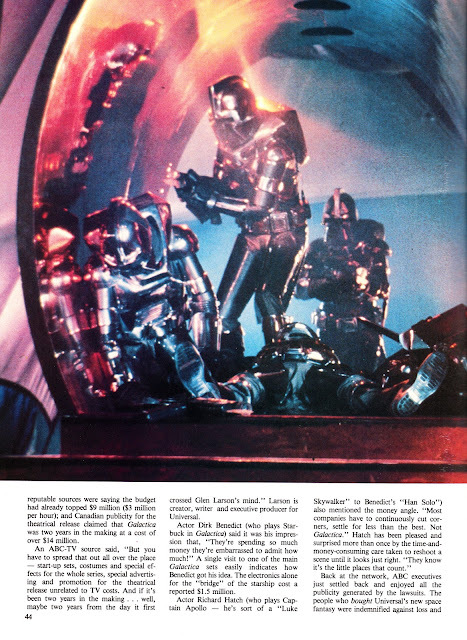 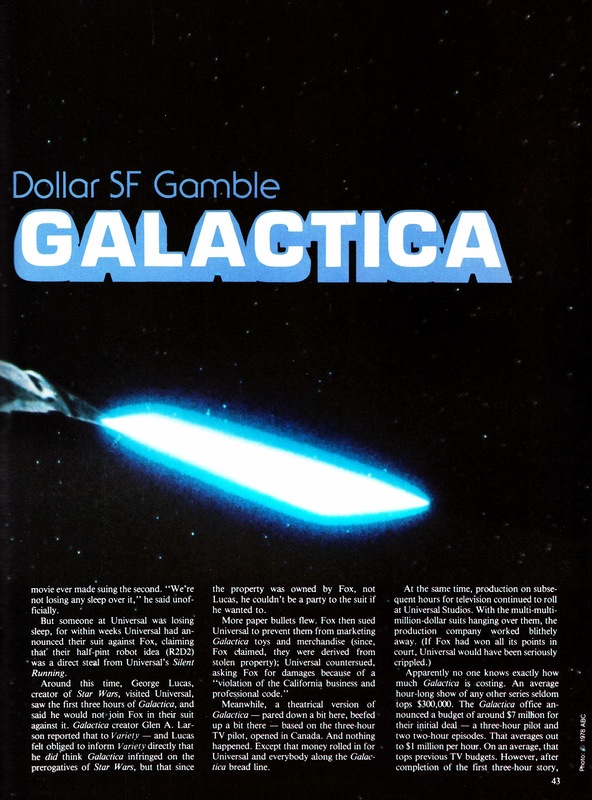 This is an article from FUTURE MAGAZINE, STARLOG's long-forgotten little brother which attempted to mix science fact and science fiction (the latter, presumably, to bolster sales). 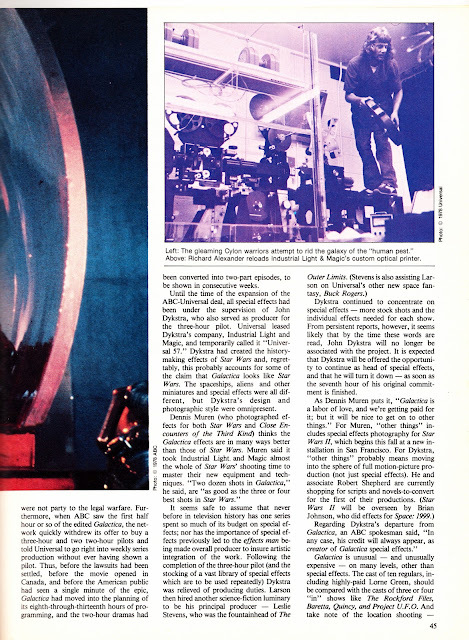 This issue (6, November 1978) would have appeared around the time the show premiered on ABC. Future ran several other articles on the show at the time and we'll get around to running them at some point. 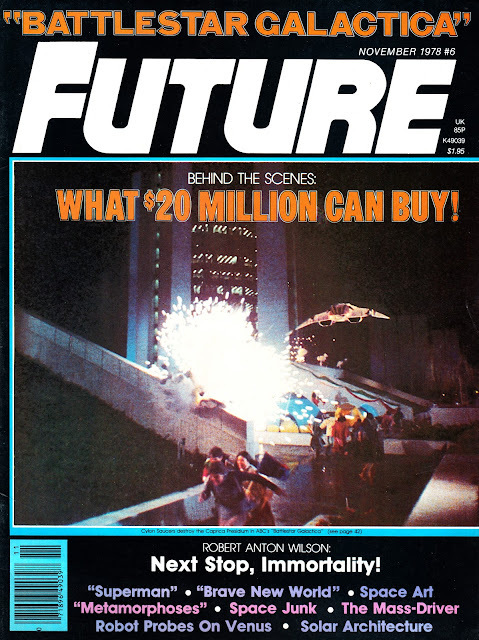 Future launched in April 1978, became FUTURE LIFE from issue 9 (March 1979) and eventually shuttered after 31 issues in December 1981.